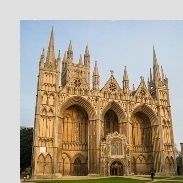 Peterborough is known for the 12th – 13th century Peterborough Cathedral, with its Gothic facade. In a former hospital building, the Peterborough Museum has a reconstructed Victorian operating theatre, plus fossils and paintings. Flag Fen Archaeology Park features Bronze Age village and causeway remains. Nene Park is home to woodlands, footpaths and Ferry Meadows recreation area. Shopping is good, and stores include John Lewis, Marks & Spencer, Lakeland and Beales etc, so there is ample opportunity to do your Christmas shopping or simply enjoy the Christmas lights, have lunch and TREAT YOURSELF. Coach will leave Market Harborough Bus Station at 9am.